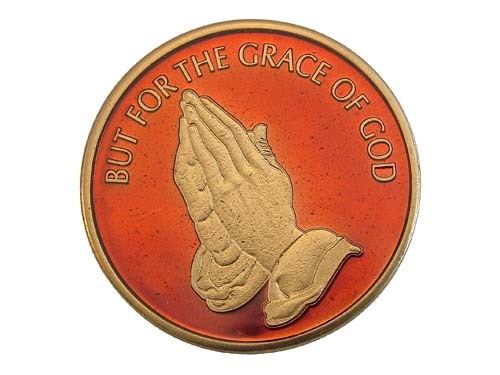 Each of these lovely chips features two expertly gold plated hands clasped in prayer and our ever important phrase "But For The Grace of God" on the front side. 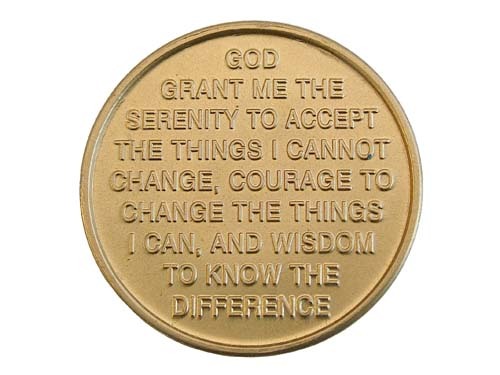 The reverse side features our serenity prayer in beautiful gold relief. Each of these medallions is expertly crafted in the USA. At WoodenUrecover.com, all Paint on Demand Medallions are delivered in a nice velvet gift pouch at no additional cost! However, please consider purchasing one of our Coin Capsules to further protect this beautiful keepsake.